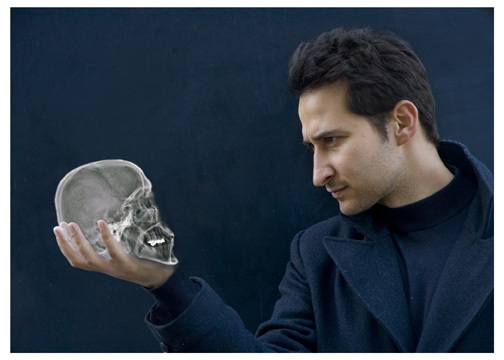 I’m going to see Raoul Bhaneja’s one-man performance of Hamlet on Friday at the Yukon Arts Centre. I’ve heard good things about it, and saw a good article in the Yukon News, and I love Shakespeare, but I’m going to see it because of the way Hamlet speaks about “belief.” One of the main questions, arguably, is whether or not Hamlet should believe the ghost of his father. He tells Hamlet that he was murdered by the King’s brother, Claudius, Hamlet’s uncle. It is also this ghost that asks, begs, persuades Hamlet to avenge his murder. Without the ghost, no play. With the ghost, several dilemmas at once, not the least of which is whether you believe a spirit that you’ve seen. Hamlet is caught in a crisis of belief. If he believes a ghost—just stop there to see how preposterous that sounds—then he has to believe that his father was murdered, and that his uncle is the villain, and that his mother could have been an accomplice. Further, if that’s true, then the ghost must also be believed that he, Hamlet, can set it right. That everything that Hamlet does hinges on the believability of the words of a ghost means that the play is really about our belief, and how much it informs our real decisions. 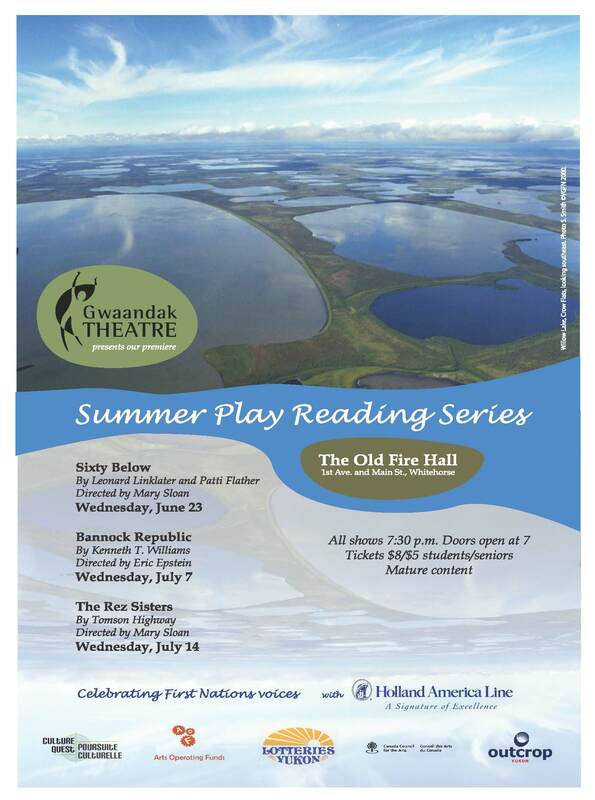 Gwaandak Theatre is putting on a reading series this summer in Whitehorse, featuring three plays written by First Nations playwrights, borrowing the skills of some local First Nation actors—some who are brand new to the theatre stage. I’m excited to see these plays put on as readings. 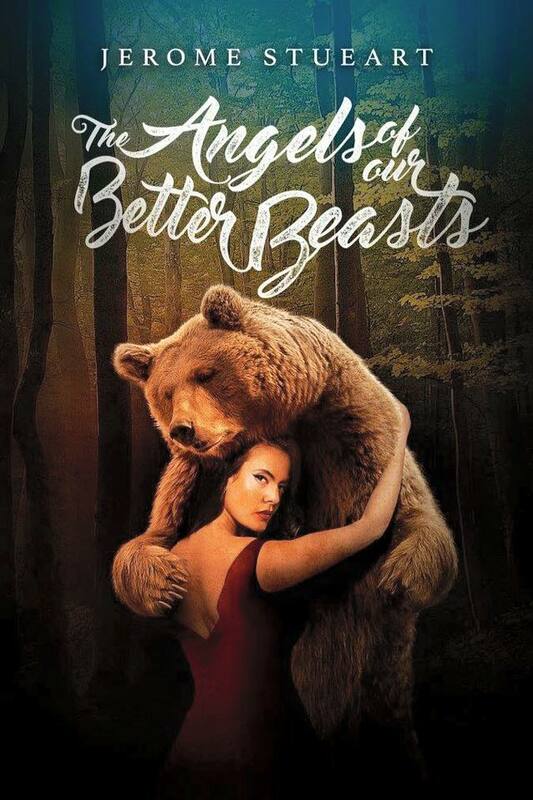 They’ll really showcase what aboriginal playwrights are doing in Canada. The first of the readings (June 23) is Sixty Below, Leonard Linklater and Patti Flather’s play, produced down South. 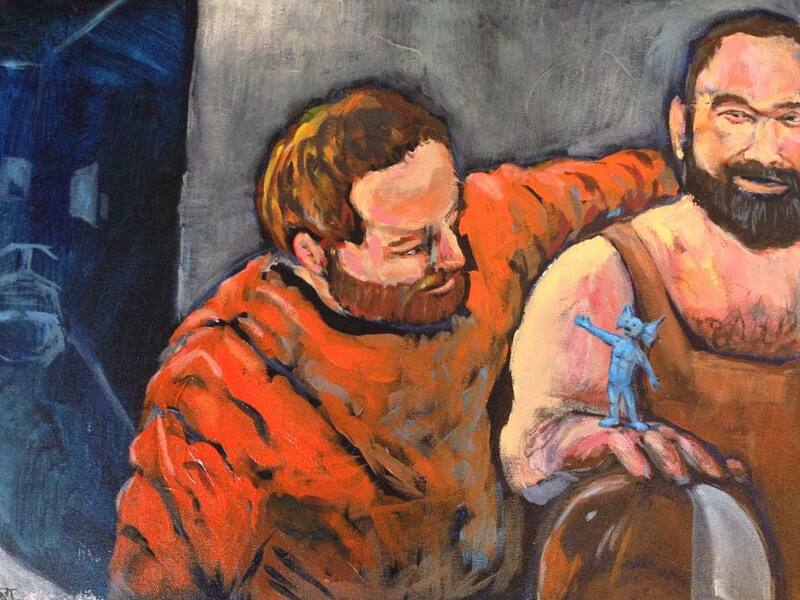 It had an extensive run up in the Yukon as they both took the play to the communities in 1999. It has a Yukon setting and was hugely popular when it toured. And now gets a special reading this Wednesday night. “Sixty Below is the story of Henry, fresh out of jail and ready to straighten out his life. Of course it’s not that easy: his old buddies just want to party, his girlfriend’s moving ahead of him, and then there’s the ghost of Johnnie, everyone’s hero, who just won’t leave the northern lights. 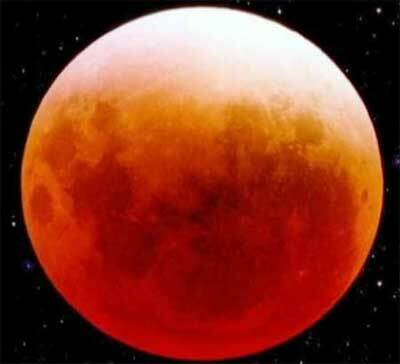 And to top it all off – the longest night is just around the corner. Cast features Kevin Barr, Boyd Benjamin, Jared Lutchman, Rae Mombourquette, Sean Smith, and Ciara Stick. Reading is directed by Mary Sloan,” says Sarah Moore, Gwaandak Theatre’s publicist. Bannock Republic tells the story of Jacob, a videojournalist for APTN, Isaac, a new chief—both friends in the earlier play– and introduces Destiny, a woman and third party representative, who comes to financially take over the reserve drowning in debt. The third play (July 14) is Tomson Highway’s The Rez Sisters featuring “seven of the greatest roles ever written for women,” Flather says. Highway’s work, probably the best known of the four playwrights, was produced in Toronto, earned several Dora awards for theatre, and featured a hilarious knock-down drag-out fight between all seven women. 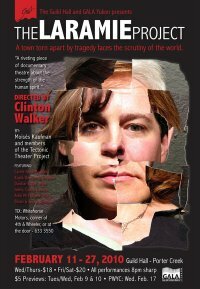 Linklater and Flather formed Gwaandak Theatre back in 1999 to remount Sixty Below for a millennial production. They felt like there was a need for a company that would focus on underrepresented groups—specifically First Nation groups—and give them a professional theatre company to tell, and produce, their stories. This is my review from What’s Up Yukon. I gave Justine Davidson, the theatre reviewer for the Whitehorse Star, a long hug at the end of The Laramie Project, the Guild Society/GALA play. Both of us were near tears. We weren’t the only ones moved. But don’t let this make you think the play is a downer. It isn’t. It’s mostly a fascinating study of 80 people learning to cope with sudden and abrupt change. The tragedy of Matthew Shepard’s murder happens before the play begins — so this is, in effect, the aftermath. I was able to be a part of Etiquette, the new play by Theatre Rotozaza from the UK now set up at Baked Cafe, at First and Main. It is unlike anything you’ve ever experienced. Yep, you’re sitting down, yep there are actors and a stage, and lines, and things are acted out, but you are the participants and no one in the cafe knows you are doing it. It’s visceral and you feel as if you are being used, a bit, by the play. After all, the voice tells you what to say and what to do. You will be talking about it for awhile. You participate with one other person sitting across from you. You wear headphones and whatever the voice says to you on the headphones to say or do, you say or do. But it’s not so loud that anyone will ever hear you. It’s not embarrassing. It’s a conversation you are having with another person who is also wearing headphones. In the course of the play, you are directed to pick up small objects and figurines, place them on the table, do things with them. The play uses you to get itself acted. It’s really clever that way. It references at one point Henrik Ibsen’s play, The Doll’s House, and you witness the last scene of that play, where Nora does something that no woman in theatre was ever allowed to do, until then. She leaves her husband. He is left nearly speechless. There’s nothing he can say–nothing that makes any sense. This is the crux of the play Etiquette, not Ibsen’s scene, but the idea that we need words to understand how to act or feel at certain times. There will come a moment when you have to read a note while looking through a glass of water. Hold the note close to the glass and move it sideways. It will be clearer if you do that. If you can’t, just flip it over and read the note outloud. The rest of the directions are pretty easy to follow–you pick things up and place them on the table in front of you, you turn, look around, look at each other. I can’t tell you much more about the play—you have to live it to know what it is. And whichever character you are, you will only know the play from that perspective. This challenged a lot of what I think about theatre–about the audience’s ability to stay as observers to the play. Here, you are forced to BE the play, and you don’t know what the other character will say, or what you will say, until you’ve said it. But all the elements of theatre are there. They are on the table, in your hands, out of your mouth. It’s unique and visceral, and if you get a chance to sign up at Baked Cafe to do it, do it. It takes 30 minutes, and there are only two tables in the room to use (so only four people can participate at a time). No one really sees you or thinks about what you are doing. It just looks like you are having a conversation. But you are really deep inside a play, while the rest of the world drinks coffee around you. 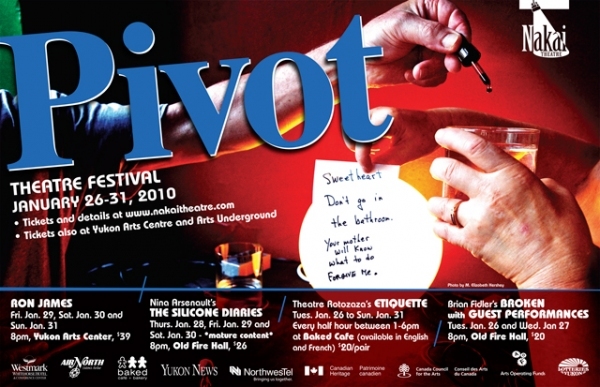 Etiquette is brought to you through the 2010 Pivot Theatre Festival arranged by Nakai Theatre. For more information, see their website. Tickets available at Baked Cafe starting Jan. 26 at noon.